Jennifer Silverberg The "BBBB" is a bison and bacon barbecue burger with blue cheese on a brioche bun. Slideshow: Inside Mike Shannon's Grill in Edwardsville. 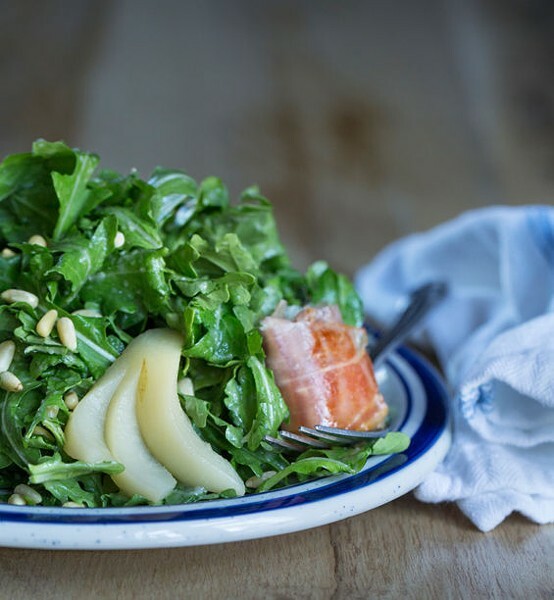 Jennifer Silverberg The poached-pear salad is arugula topped with goat cheese, prosciutto, pine nuts, pear vinaigrette and cinnamon. Slideshow: Inside Mike Shannon's Grill in Edwardsville. Jennifer Silverberg Slideshow: Inside Mike Shannon's Grill in Edwardsville. Jennifer Silverberg Gary VanMatre owns the restaurant with his mother, Pat Shannon, and his grandfather, Mike Shannon. His brother, Justin VanMatre is the general manager. Slideshow: Inside Mike Shannon's Grill in Edwardsville. Slideshow: Inside Mike Shannon's Grill in Edwardsville. Sometimes you want to go where everybody knows your name; you just don't want to pay a $35,000 annual membership fee. Thanks to Mike Shannon and his family, the residents of Edwardsville, Illinois, do not have to face that choice. With Mike Shannon's Grill, the long-time, down-home folksy, cold-frosty-one-imbibing radio voice of the St. Louis Cardinals and 30-year Edwardsvillian creates a clubby atmosphere for himself and his guests. It's clear from the first (ahem) pitch that the Shannon team's intention was never to open an east-side outpost of its Market Street original, but rather a community gathering spot, a place where patrons can come in for wings one day and an anniversary dinner the next. From the white tablecloths to the wine list to the $48 steaks, Shannon's St. Louis is virtually sport-coat-required dining. If you wear a jacket to the Edwardsville grill, on the other hand, chances are you purchased it at the Cardinals store at Busch III. 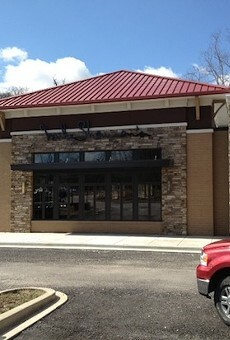 The grill is located in a shopping plaza, but this is no Target/PetSmart/Bed Bath & Beyond; the chalet-chic restaurant, an impressive stone-and-wood structure nestled on the tree-lined banks of Plum Creek, makes the suburban Metro East's cookie-cutter clutter disappear with a turn into the parking lot. 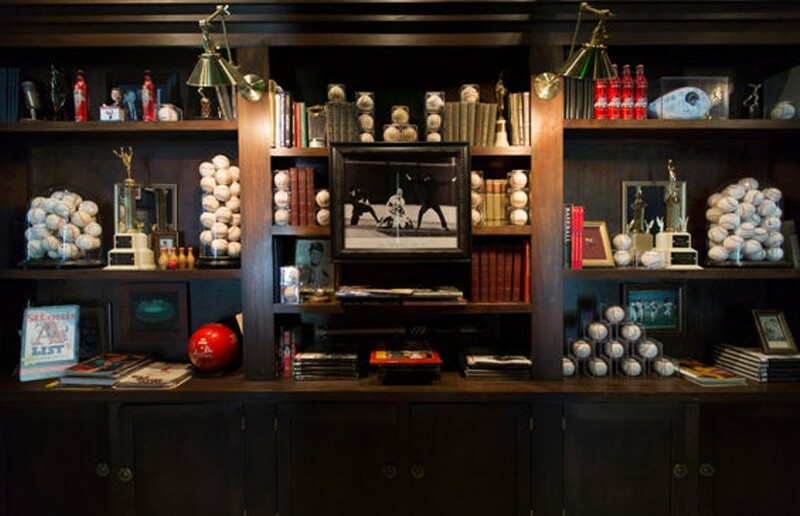 The same aesthetic carries through to the interior, where photos and memorabilia from Shannon's world-championship playing career are incorporated into the warm, dark wood décor. That's not to imply Mike Shannon's Grill is a sports bar. Television sets air the game, autographed baseballs dot the walls, and the large bar offers the usual Anheuser-Busch suspects on tap. But as I sank into my swank horseshoe-shaped booth and gazed out over the impressive bar and dark paneling, I could almost swear I caught a glimpse of Mike, sipping cabernet and polishing off a burger on his way home from the stadium, making me feel like an invited guest at his home, rather than a mere patron. 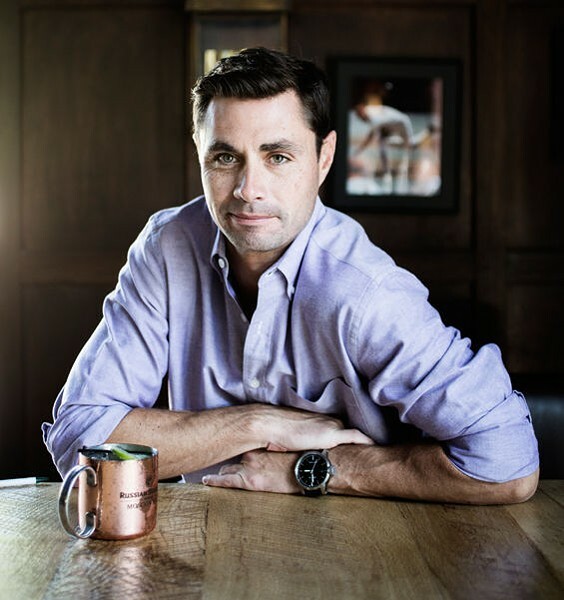 Mike Shannon's Grill raises an important question: What makes us like a restaurant? The answer seems obvious: We like a restaurant because the food is good. Right? Actually, I don't think that's quite on target. Sure, we go out to eat in order to enjoy tasty food, and if that fundamental component is missing from a restaurant, we won't likely be back. But when I think of the greatest meals I've had the pleasure of experiencing, food was only one component. The setting, the service, the company, the conversation — all were factors in making the evening memorable. In short, I like a restaurant because I like the way it makes me feel when I'm there. Sometimes the food is the star of the show; sometimes it's a bonus. Mike Shannon's Grill makes you feel good. Maybe it's the fact that the entryway looks like a library at the Hall of Fame. Maybe it's the faces of Cardinals past shining down from the walls. Heck, maybe they're piping in a subliminal version of the Mike Shannon bobblehead reciting an endless loop of the Moon Man's 2011 call of Freese's Game Six-ending home run, pasting onto every patron's face a perpetual, involuntary smile. In a setting such as this, the food must be good, but it doesn't have to be (forgive me) a grand slam. Mike Shannon's Grill is not an incubator of the next big culinary revolution, but that's not what it was put on this earth for. The menu tilts toward upscale American comfort food. There are a few surprises, and some dishes work better than others. Take the arugula and poached-pear salad — what could be a simple salad of arugula, pine nuts and poached pears is shot into the stratosphere with the addition of two prosciutto "purses": a slice of prosciutto delicately wrapped around a generous dollop of goat cheese and pan fried so as to create an oozing nugget of goodness. Equally delicious are the "Shepherd's Fries," a whimsical take on shepherd's pie in which waffle fries find themselves topped with a peppery seasoned cheddar sauce and ground lamb. Haute comfort at its finest. "American Baked Onion Soup," however, is a bit of a miss. While I appreciate delicacy in soup, there should be an easily perceived difference between "soup" and "hot water." This soup didn't receive sufficient body from the stock or the onions, and on top of that, the dish was underseasoned. A cheddar crouton replaced the more traditional Swiss topping, but not even the cheese change was sharp enough to add anything. Those who come to this Shannon's for the steak would be best advised to stick with the classic steak-house offerings. I speak from experience, having tried a surf-and-turf that featured a soy-honey-seared flatiron served with orange-cilantro shrimp. The steak boasted a sweet, peppery sear and was cooked to a spot-on medium-rare, but the three wee shrimp seemed like an afterthought. Dwarfed by the ten-ounce hunk of beef, they lacked a discernible glaze and, for that matter, flavor. The real stars of my visits to the grill were all sandwiches. The "TV Dinner Burger" is a ready-made eating challenge, a mouthwateringly seasoned half-pounder served on Texas toast and topped with mushroom gravy. The side of cheddar mash practically begs to be slapped atop the patty, and I couldn't help but think of this dish as a mom's-meat-loaf version of a slinger. Also excellent is the "BBBB" — a bison-and-bacon barbecue burger on brioche. (That's five B's, is it not?) 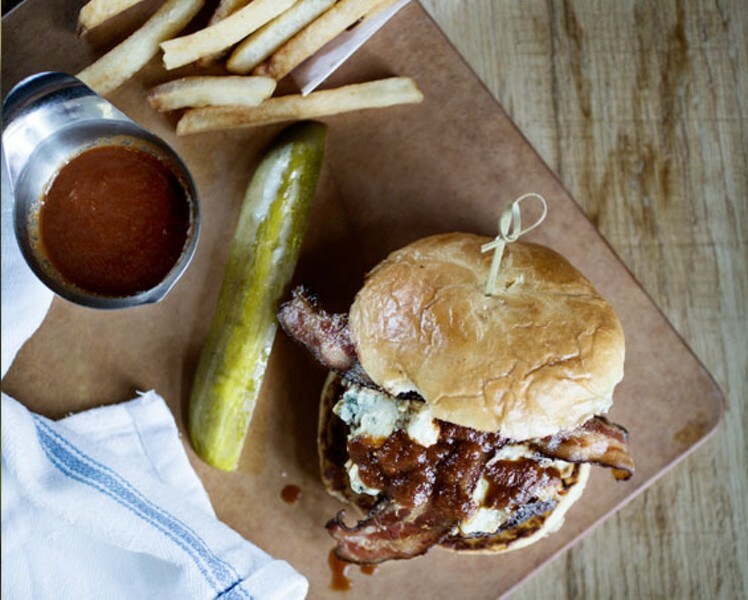 This brings a juicy, oozing mix of flavors to the table, featuring a sweet and spicy barbecue sauce that melds with an earthy blue cheese to provide a perfect finishing touch to the bison. A burger made with this many components has the potential to leave a woman up to her elbows in sauce and cheese, but the kitchen manages to pile on just the right quantities of toppings not to stray toward gratuitousness. In other words, you're all clear to order it on a first date. So why go to Mike Shannon's Grill when there are hundreds of other places to get good burgers and steaks? Because it's not about the burgers and steaks. Sure, the food delivers, but the target audience here will go for the experience of sharing a cozy intimacy with baseball celebrity. Step inside, and just like that, you're a member of the club.